To reach into the past and bring back what is good and what is beautiful, the Interior design behind so many traditional homes speak for themselves in their timeless essence and beauty, taking a piece of the past and making it last forever; not only in our hearts but in our homes. What is Traditional Style Decorating? Traditional style can be looked at in many ways. Whether its a room with a classic touch or a calm and orderly room. You might recognize the familiar take of traditional homes from magazines or furniture room shows. There’s nothing wild or chaotic about the setting. It feels comfortable for all ages and have a somewhat casual look and feel. Generally, you will also notice that the most common aspect of this particular design scheme involves pairing accessories and furniture together in order to create a sense of symmetry around a specific focal point of the room. No matter what age group you are in, you will still be able to utilize the traditional interior design style for your home in order to make it as classic, calm, and timeless as you want it to be. Classic lines, understated details, soft edges. Everything is smooth and blended. A mix of vertical lines and lighter horizontal lines. Fabrics that are neither too shiny or too textured. Florals, plain colors, muted plaids, understated stripes, geometrics, and small spread out patterns. The colors are very mid-range. Sometimes darker or lighter colors are found in the design but for the most part Traditional Design leaves a very calm and soothing setting, no neon or flashing colors. Very subtle. Window coverings in traditional rooms are often designed in a classic style. Narrow shutters, traverse draperies, under treatments of pinch pleated sheers, or even cornices and valances. 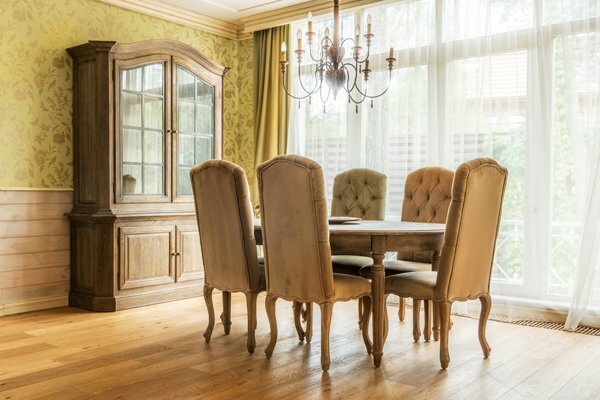 Common types of wood used in Traditional Interior Design are Maple, Mahogany, and Cherry. They are generally lacquered and carved to give them a look that is luxurious and elegant. Accessories used in the traditional interior design style can include vases, candle stands, and bowls. These items are commonly used because of the art style that was favored by artisans of the 18th and 19th centuries. Traditional interior design is inspired by 18th and 19th century European décor. The Europeans loved elegance but also comfort which introduced the style. The traditional style is very prideful of its order, harmony and of course friendly charm. The traditional interior design style offers a homeowner the idea of comfort of colors, forms, and materials that were used in the past in order to create a more cozy space today, especially if they feel a deep connection with early American, European, or Old World history. 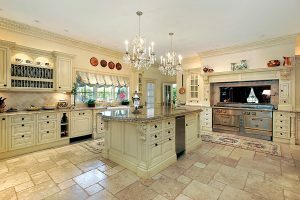 Traditional Interior Design is often used by many different celebrities and world leaders, including Barack Obama, Michelle Pfeiffer, Steven Spielberg, and Dustin Hoffman. Coming into the light and new interest of interior design, many might not know the difference between a lot of the styles and designs, like the difference between modern interior design and Traditional Interior design. So what is the difference between the two? Modern interior design is everything traditional design is not. It grew out of the Bauhaus design movement in Germany in 1919 and is based on the philosophy that form should combine with function. Modern furniture pieces are made from industrial materials such as glass and metal. Modern interior design is also influenced by Japanese design, which views space not as emptiness, but as an integral part of the design. Modern furniture features represent clean, straight lines, contrasted by plain walls, usually in one main accent colour, to produce a cool and uncluttered effect. Modern blinds are usually slimline and elegant, controlling the light without interrupting the view. Traditional Interior design and Modern Interior design are the two main focus points when it comes to Interior Design. Traditional style, incorporating all that is ornate, comfortable and classic, and Modern style, where form and function are combined for a more clean and uncluttered look. 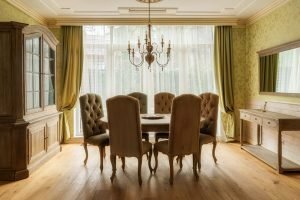 Why is Interior Design Important? A house can be just that, a house, and it won’t affect how you live or your well being. It doesn’t need colorful wallpapers, or plush fancy furniture, or elegant design. A house can just be a house with plain walls and plain furniture and overall plain. Because at the end of the day, with or without a certain Interior Design, we will still have a place to go home to after work and somewhere to sleep and eat. But what people don’t realize is that the interior design of a home plays a big role in everyday life. It introduces people to beauty, relaxation, and modernism. Interior design is an important technique that is given a high attention all over the world nowadays. The importance of designing interiors helps a person to learn a lot about the space, and how people feel comfortable while being at a specific place and using its facilities. Designing interiors makes people look at things around them in a certain view. Designers see things from different perspectives due to their studies and work atmosphere. They give special attention to details. A very simple fact is that, having a house or office that looks nice is going to make you feel better and give you positive vibes. Every space has its own uniqueness. It has its own features and it has its own requirements too. Every space has a life of it’s own and can tell a story of its own. Interior design is primarily focussed to bring out the right potential out of the space, to judge and decide which space can serve for which purpose best and what is the right and efficient way of building the space into a room or a purposeful space. Also, interior design increases the value of a house. Having a place to call your own and represent your way of life is equally as important as the structure of the home itself. Your Interior Design adds life to the structure in which you live and gives it meaning. It speaks for itself and tells a story. And who doesn’t want to hear a good story? 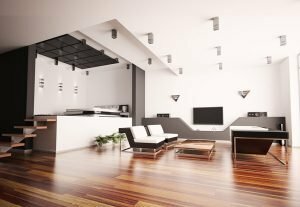 What Is Modern Interior Design?